Kroton’s Board of Directors, composed of eight members, is the Company’s decision-making body responsible for formulating and implementing its policies and general business guidelines, including its long-term strategies. The Board is also responsible for appointing and supervising the Company’s executive officers. Under Brazilian Corporate Law, the Board is also responsible for contracting the independent auditors. The Board’s decisions must be approved by a majority of votes cast by the directors in attendance. The directors are elected at the Company’s Annual Shareholders’ Meeting for a unified two-year term and may be re-elected or removed from office at any time by Kroton’s shareholders assembled in an Extraordinary Shareholders’ Meeting. In accordance with the rules of the Novo Mercado Special Corporate Governance Segment, at least 20% of directors must be independent, and all directors, as of the execution of the Novo Mercado Membership Agreement, must, prior to their investiture, sign the administrator’s term of commitment referred to in the Novo Mercado Regulations and the rules of the Arbitration Chamber of the São Paulo Exchange (B3). 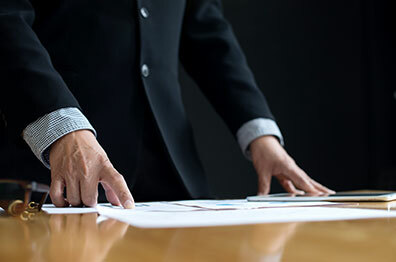 In accordance with Brazilian Corporation Law, the members of the Board of Directors are prohibited from voting in any shareholders´ meeting or from participating in any transaction or business in which there is a conflict with the Company’s interests. Brazilian Corporation Law permits the adoption of a multiple voting process upon the request by shareholders. Considering Kroton’s current capital stock, shareholders representing 10% of the voting capital may request the adoption of a multiple voting process to elect members to its Board of Directors. If no request is made for a multiple voting process, Kroton’s directors will be elected by a majority of votes of the holders of common stock, with shareholders holding, individually or jointly, at least 15% of the Company’s common stock assured, in a separate voting process, the right to appoint one member. In addition, shareholders holding, individually or jointly, at least 10% of the Company´s preferred stock may elect one director in a separate election. Altamiro Belo Galindo holds a degree in Law from the Faculdade de Direito de Presidente Prudente – SP and in Business Administration from the Faculdade de Ciências Contábeis e Administração de Tupã – SP. He also has a graduate degree in Tax Law from PUC/São Paulo. He was the Founder and Associate Dean of Universidade de Oeste Paulista (UNOESTE), located in Presidente Prudente, from 1972 to 1989. He was the Founder and Dean of Universidade de Cuiabá (UNIC), in Cuiabá, Mato Grosso, 1990 to 2010. He served as Chairman of the Board of the National Association of Private Universities (ANUP) and as member of the Audit Board of the Board of Deans of Brazilian Universities (CRUB). He was the CEO of the Union of Postsecondary Schools of Cuiabá, since its foundation in 1989 until March 2010, and the Chief Administrative Officer of IUNI Educacional S.A., a company acquired by Kroton Educacional S.A.
Evando José Neiva has a degree in Electrical Engineering from the Universidade Federal de Minas Gerais (UFMG) and received a silver medal for merit from the institution. He has a Master’s Degree in Educational Leadership and School Supervision from the University of San Francisco in California, USA. He worked as professor of physics at UFMG and was Chairman of the Board of Education of the Federation of Industries of Minas Gerais (FIEMG). He joined the Company in 1966 as one of the Founding Partners of Pitágoras and was the CEO of the group from 1994 to 1999. Today, he is the Chairman of the Pitágoras Foundation, of the Business Council of Education of the Commercial Association of Minas Gerais (ACMinas) and the State of Minas Gerais’ Conspiracy for Education Movement. Gabriel Mário Rodrigues is Vice-Chairman of the Board of Directors of the Company. Previously he served as Chairman of the Board of Directors and Chairman of the Board of Directors of Anhanguera. He has a degree in Architecture and Urban Planning from the Faculdade de Arquitetura Mackenzie (1955) and completed a specialization course in Business Communication (1960). He was responsible for Inspection of Public Works and Services of the State of São Paulo – DOP (1968-1971) and the Press Office of the Superintendent of the Department of Public Works and Services of the State of São Paulo – DOP (1968-1971). He created and Organized the first Postsecondary Program in Tourism in Brazil, in 1971, from Faculdade de Turismo do Morumbi, maintained by Bandeirante Organization of Technology and Culture (OBTC), which he presided over from 1969 to 1978. He was Director of Faculdade Anhembi Morumbi (1971 – 1997) and Dean of Universidade Anhembi Morumbi, maintained by ISCP Sociedade Educacional, which he presided between 1979 and 2013. He served four terms as Chairman of the Brazilian Association of Postsecondary Education Companies (ABMES) between 2004 and 2016. He currently serves as Chairman of the Board of Directors ABMES for the 2016/19 term. He is a permanent member of the Governing Council of the Union of Sponsoring Entities of Postsecondary Educational Institutions of the State of São Paulo (SEMESP) (2011 – 2014), serving as Chairman between 1993 and 2004 and as Vice Chairman between 2008 and 2011. He was president of the Ancora Project for the Rights of the Child, Adolescent and Elderly (2009-2012), Member of the Board of Associação Viva o Centro (2005 – 2013), Member of the Board of Trustees and Member of the Representative Entities of the National Foundation for Development of Private Postsecondary Education (FUNADESP) from 2005 to 2009, Chairman of the Sponsoring Board and partner of the Brazilian Distance Learning Network – Brazilian Virtual University and Member of the State Board for Food and Nutritional Safety (CONSEA/SP). Mr. Rodrigues currently serves as Chief Executive Officer of Grupo GAMARO S.A., Founding Member and Executive Secretary until 2016 of the Forum of Entities Representing Private Postsecondary Education (since 2008); Member of the Board of the National Association of Private Universities (ANUP) since 2007; Member of the Advisory Board of the Medical and Cultural Foundation of Gastroenterology and Nutrition of São Paulo (FUGESP). Júlio Fernando Cabizuca, Member of the Board of Directors. Mr. Júlio Fernando Cabizuca has degrees in Mechanical and Electrical Engineering from the School of Engineering of the Universidade Federal de Minas Gerais (UFMG). He joined the Company in 1966 as one of the Founding Partners of Pitágoras. He was a mathematics professor and Director of a few Kroton units in Belo Horizonte, and Dean of the Pitágoras school in Iraq. He also served as Superintendent of Operations, as well as Vice President and President of the Company. Luiz Antonio de Moraes Carvalho, Independent Member of the Board of Directors. Luiz Antonio de Moraes Carvalho earned a degree in Production Engineering from the Escola Politécnica of the University of São Paulo (USP) in 1969. His solid professional experience spans more than 45 years, of which 30 years were in the Cofra Group, in the general management of the Retail Operations, Consumer Credit and Real Estate areas. He has vast expertise in the areas of Planning, Finance, Technology, Human Resources, Consumer Behavior and Marketing. In the last 5 years, he served as Executive Chairman of the Latin American Division of the Cofra Group, where he was responsible for operations in Brazil, Argentina and Mexico. He started his career in the Group in 1978 as Controller, and became a member of the Executive Board two years later. Since September 1, 2006, Luiz Antonio has held non-executive positions, such as on the Boards and Committees, working in different corporate governance bodies in Latin America, Europe and China. Nicolau Ferreira Chacur, Independent Member of the Board of Directors, earned a degree in Law from University of São Paulo in 1986 and a degree in International Relations from the Paris Institute of Political Studies in 1989. Between 2004 and 2009, he worked as Corporate Executive Director at Unibanco and, from 2009 to 2011, worked as Corporate Executive Director at Banco Itaú BBA S.A. He has been serving on the Boards of Directors since 2011. Walfrido Silvino dos Mares Guia Neto, Member of the Board of Directors. Walfrido Silvino dos Mares Guia Neto earned a degree in Chemical Engineering from the Escola de Engenharia da Universidade Federal de Minas Gerais in 1966, and a Business Administration degree from the Faculdade de Ciências Econômicas, Administrativas e Contábeis de Belo Horizonte (FUMEC) in 1973. He joined the Company in 1966 as one of the Founding Partners of Pitágoras. He has held several public offices, including Secretary of Education of Minas Gerais, from 1991 to 1995, and Chairman of the Council of Education Secretaries (Consed), and Minister of Tourism (2003-2007) and Head of the Institutional Relations Department of the President’s Office (2007) during the government of President Luíz Inácio Lula da Silva. The Company maintains four consultative committees, which supply the Board of Directors with the information and advice needed to take decisions, as well as helping the Board of Executive Officers in regard to policies approved by the Board of Directors. Each committee consists of three or four members elected by the Board of Directors. Members of management may be invited to attend meetings, albeit without the right to vote. The committees meet at least once a month and decisions are taken by a simple majority. It is the committees’ responsibility to approve matters within their jurisdiction for subsequent submission to the Board of Directors. The committees’ attributes and meetings are managed by a specific member designated as its coordinator. Coordinators are responsible for: (a) organizing the agenda of the meetings; (b) drawing up the minutes, together with the recommendations of the members; and (c) periodically informing the Board of Directors of their ongoing affairs. Minutes of the committees’ meetings are drawn up in books, opened and maintained at the Company’s headquarters. Kroton’s Sttutory Executive Officers are its legal representatives and are responsible for the day-to-day management of its business and for implementing the policies and general guidelines established by the Board of Directors. In accordance with Brazilian Corporation Law, the Executive Officers must be Brazilian residents but are not required to be shareholders in the company. In addition, at most one-third of the members of the Board of Directors may serve as Executive Officers. Stutory Executive Officers are elected by the Board of Directors for a one-year term, with reelection permitted, and they may be removed from office by the Board of Directors at any time. The Company’s By-Laws establishes that its Board of Executive Officers be composed of at least 4 and at most 12 members Elected and deposable at any given time by the Board of Directors and authorizes a maximum two post limit per Director. Carlos Alberto B. Lazar, Joined Kroton in 2010. Investor Relations Officer. He was awarded a bachelor’s degree in Economics from Fundação Armando Álvares Penteado (FAAP), an MBA in Business Economics from the Universidade de São Paulo (FIPE/USP) including extension studies at the University of Grenoble in France. He also holds a graduate degree in Investor Relations from FIPECAFI/USP and has over fifteen years of experience in the field, having previously worked at specialized IR consulting firms and in the IR departments of companies such as Vivo, Energias do Brasil and Banco Daycoval. Awards: IR Magazine – Best IR Professional (2012, 2013, 2014, 2015 and 2017) and Institutional Investor – Best IR (2012, 2013, 2014, 2015, 2016 and 2017). Carlos Henrique Safini dos Reis, Chief Technology & Digital Transformation Officer: Carlos Safini holds a degree in Electrical Engineering with emphasis in Telecommunications from the Universidade Federal Fluminense, as well as an MBA in IT Management from the Universidade Federal of Rio de Janeiro. He served as an executive in the areas of technology, risk management and supply chain in companies of the Globo Group, B3, Essilor Group (Brazil and USA) and IBM. Carlos Safini was a leader in several reorganization projects in the areas of technology and technological transformation in these companies, the most recent of which in TV Globo. Fabio Sampaio de Lacerda, Business Degree, Graduate Degree in Organizational Psychology with a Specialization in Corporate Finance. He is a Senior Coach at the Integrated Coaching Institute. Previously, he has held executive positions in Human Resources at DHL Supply Chain and Nazca Cosméticos. In 2015, he was voted the best Human Resources executive in the Education segment by the magazine “Você RH”. Pedagogue, Specialist in Education and holding a Master’s Degree in Production Engineering – Media and Knowledge, from UFSC, the executive works at Kroton for over 10 years, as Institutional Development Officer. With over 27 years of experience acting in education, she currently leads the Regulation, Institutional Evaluation, Accessibility and Inclusion, Social Responsibility and Stricto Senso Graduate teams at the Company. Jamil Saud Marques. Degree in Production Engineering from Escola Politécnica of the Universidade de São Paulo, with an MBA from INSEAD in France and Singapore, having also worked at AES Brasil, McKinsey & Company (Latin America) and UBS (São Paulo, Zurich and London). At Kroton since 2015, he led the processes of constructing and managing the budget, which supported continuous efficiency gains for the Company, managing the projects related to improving PEP and the creation of the first student financing Joint Venture in Brazil. Julia Barroso Gonçalves. Product, Management and Expansion Officer at Kroton Educacional. Bachelor in Mechanical Engineering (2001 to 2006) from the Universidade Federal de Minas Gerais and currently doing a Finance MBA at Insper. Five years of experience in Education and eight years of experience in Projects, including Business Integration. Leonardo Augusto Leão Lara Mr. Lara earned a Law degree from Pontifícia Universidade Católica de Minas Gerais (PUC/MG) in 1998, specialized in Corporate Law and Civil Procedural Law, and has a Master’s degree in Civil Procedural Law, also from PUC/MG. Mr. Lara served as university teacher for five years and as coordinator of the Law program at Faculdades Pitágoras in Belo Horizonte for two years. He joined Kroton in 1996 and serves as the Legal Officer of the Company since its IPO in 2007. Primary and Secondary Education Executive Officer at Kroton, Mario Ghio Junior previously served as CEO of Abril Educação (currently Somos Educação), CEO of Anglo, Ática and Scipione, CEO of Avalia, Director of Educational Support at Estácio, Director of Learning Systems of the Santillana Group, General Director of the UNO System, General Director of the COC System, General Director of CPV Vestibulares and Chemistry Teacher of Anglo Vestibulares. He is a Board Member of several companies and NGOs and holds bachelor’s degrees in Chemical Engineering from Poli-USP and in Business Administration from Universidade Anhembi-Morumbi/SP, as well as an Executive MBA from Insper. Paulo de Tarso. Joined Kroton in 2012. The executive has served in strategic areas of the company, such as Operations Director, New Business Director, Executive Director of Uniasselvi (brand sold by the company), Director of Graduate and Vocational Programs, and, since April 2015, he is Business & Innovation Vice-President. Mr. Tarso holds an MBA from Wharton School of Business, specialization in business administration from Getúlio Vargas Foundation (FGV) and a bachelor’s degree in Computer Engineering from the Technological Institute of Aeronautics (ITA). Previously he worked for eight years in the financial services area of Banco Itaú, as well as in Citibank (New York) and at a company in the portfolio of Advent International (Brazil). Mr. Valério currently serves as Postsecondary Education Executive Officer at Kroton Educacional. Mr. Valério joined the Company following the merger with Anhanguera in July, 2014. He worked for 3 years at Anhanguera Educacional, holding the positions of Chief Executive Officer and Executive Officer for Operations and Marketing. He received a bachelor’s degree in Business Administration and a graduate degree in Business Administration with emphasis in Strategy, Finance and Entrepreneurship from the Fundação Getúlio Vargas (FGV), and graduate degree in Marketing and Customer Experience from Columbia University. Previously, he worked for 11 years in the DIRECTV Group, with the SKY and DIRECTV brands. During this period, Mr. Valério worked mainly in the areas of Marketing, Operations and Planning, and lived in four countries where the group had operations: Brazil, Peru, Puerto Rico and United States. His last position was as Marketing and New Media Director for Latin America, based in New York. Mr. Galindo holds a bachelor’s degree in Law and a Master’s degree in Education from Pontifícia Universidade Católica de São Paulo (PUC-SP). He has served in the management of various educational institutions over the last 28 years. He was Administrative Associate Dean at the University of Cuiabá and was responsible for the accreditation and implantation of postsecondary education institutions in the states of Bahia, Mato Grosso, Amapá, Acre and Rondônia. He was Chief Executive Officer of Grupo Educacional IUNI, with over 50,000 postsecondary students and campuses in six Braziian states. He was Chief Operating Officer and Chief Postsecondary Education Officer at Kroton. He is currently the Chief Executive Officer of Grupo Kroton Educacional, which is the world‘s largest educational institution (in market capitalization), with over 1 million students and 26,000 employees, offering academic programs with high quality standards (ENADE quality indicators at the same level of public universities). Publications: author of the dissertation “Public Assessment Policies: critical analysis of the model and perspective of representative associations” and co-author of the book “Public Assessment Policies”. Awards: IR Magazine – Best investor relations performance by a CEO (2012, 2013, 2014, 2015 and 2017), Institutional Investor – Best CEO (2012, 2013, 2014, 2015, 2016 and 2017), Istoé Dinheiro – Entrepreneur of the Year (2016), Valor Econômico – Best Company (2014) and Best Executive in the Education Industry (2014, 2015, 2016 and 2017), and Bravo Business Awards – Dynamic CEO of the Year (2015). According to Brazilian Corporation Law, the fiscal council is a corporate body independent from the administrators and the external auditors. The fiscal council may function on a standing or non-standing basis, in this latter case functioning during a specific fiscal year when installed at the request of shareholders representing at least 2% of the voting shares, with each period of its functioning ending upon the holding of the first annual shareholder’ meeting after its installation. The main responsibilities of the fiscal council are to oversee the activities of the management, review the company’s financial statements and report their conclusions to shareholders. Brazilian Corporation Law requires that the members of the fiscal council receive compensation of at minimum 10% of the average annual compensation paid to the company’s directors. Brazilian Corporation Law also mandates that the Fiscal Council be composed of at least three and at most five members and their respective alternates. Antônio Lúcio dos Santos, graduated in Accounting from the Accounting School of the Universidade Católica de Minas Gerais in 1969, and in Business Administration and Economics from the same institution in 1970 and 1971 respectively. Since 1982 he is an auditing partner of the company Audservice Auditores Associados S.S; since 2010 he is partner and financial director of the company ADF Analistas Associados; Member of the Arbitration Chamber of the Brazilian Stock Exchange. None of the above groups is part of Kroton S.A.’s economic group. Lucila de Oliveira Carvalho, member of the Fiscal Council. Graduated in law from the Law School at Universidade Federal de Minas Gerais (UFMG) in 1985 and a Master’s Degree in Commercial Law from the same institution in 2002. She also holds a Master degree in International Commercial Law from the University of California in 2009. She has been a member of the Arbitration Commission of the Brazilian Bar Association (OAB), Minas Gerais Section; certified as a counsellor by the Brazilian Institute of Corporate Governance (IBGC) in 2014; Serving as a lawyer and as an arbitrator; Member of the list of arbitrators of CAMINAS, CAMARB, CMA-CREA/MG e CMA-CIESP/FIESP. Ricardo Scalzo, member of the Fiscal Council. Mr. Ricardo Scalzo has a degree in Physics from Universidade Federal do Rio de Janeiro in 1974. Throughout his career of nearly 8 years, he conducted audit works and has advised Companies in varied industries and sizes. He is currently an independent consultant and tax advisor certified by the Brazilian Institute of Corporate Governance (IBGC) in 2009. He is a member of the Fiscal Council of the following Companies: Lojas Americanas S.A.; Magnesita refratários S.A; Tecnisa S.A; Aliansce Shopping Centers S.A (until 2016); Mariga Mineração S.A; Suzano Holding S.A.; IPFL Holding S.A; Aceco S.A; MLog S.A; All América Latina logística S.A. (until 2015) and BHG Hoteis S.A (until 2015). José Securato Junior, has a Bachelor’s Degree in Business Administration from Fundação Getúlio Vargas in 1998, with an MBA in Financial and Actuarial Management from the Universidade de São Paulo in 1999. He founded Saint Paul Advisor and Saint Paul Capital Partner in 2013, boutiques dedicated to the execution of Merger and Acquisition transactions and capital investments in small companies / start-ups, respectively. Since 1998, he is dedicated to offering his services to Investment Banking with a focus on the execution and development of Mergers and Acquisitions and Capital Markets. Over 10 years experience in the area of Investment Banking of Deutsche Bank (in NY and in SP) where he was the Director responsible for covering clients in the Electrical, Pharmaceutical and Mining sectors in Brazil. Marcelo Meth holds a bachelor’s degree in Economics from Universidade Cândido Mendes in 1983, in Accounting from Universidade Santa Úrsula in 1991 and in Law from Universidade Paulista in 2004. He specialized in Business Management with an Emphasis in Accounting from Faculdade de Economia São Luis (SP) and holds an MBA from USP, specializing in IFRS, ended in 2016. He started his career as a trainee in Internal Auditing at the Rio de Janeiro Stock Exchange, reaching the post of controller in the holdings of certain companies, among which: Grupo Garantia, GP Investimentos, Ambev, Lojas Americanas, and São Carlos Empreendimentos Imobiliários, among others, and was managing partner of RB Capital. He served as managing partner of the company Soldo Serviços de Contabilidade Ltda. between 2001 and 2009, providing consultancy services in the accounting, fiscal, financial and administrative areas for several companies, having as his main clients: São Carlos Empreendimentos Imobiliários, GP Investimentos and investment Holdings at Lojas Americanas and AmBev among others. He was managing partner of the companies of the RB Capital Group (independent company focused on developing innovative solutions in the capital market). He served as effective member of the Fiscal Council of Hopi Hari, effective member of the Fiscal Council of Centrais Elétricas do Maranhão – Cemar S.A. (company which operates in the segment of energy generation and distribution) and alternate member of the Fiscal Council of Lojas Americanas S.A. (company in the retail segment). He is currently partner at the company 2M Consultoria Contábil e Tributária, a company which does not integrate the Company’s economic group nor is controlled by shareholders of the Company which detain, directly or indirectly, holdings equal to or higher than 5% of the same class or type of securities of the Company. Rodrigo Peres de Lima Netto, alternate member of the Fiscal Council. He obtained a bachelor’s degree in Law from the Federal University of Minas Gerais (UFMG) in 1995, a graduate degree in Corporate Law from Pontifícia Universidade Católica of Minas Gerais (PUC-MG) in 1998, an MBA focused in Business Administration from IBMEC Educacional S/A in Belo Horizonte in 2002 and a Master’s degree in Law (LLM), specializing in Commercial Law from the University of Chicago in 2005. He was an alternate member of the Fiscal Council of Companhia de Saneamento de Minas Gerais – COPASA from April/2013 to April/2014. Mauro Henrique Teixeira, alternate member of the Fiscal Council. He has a Bachelor’s Degree in Accounting, Business Administration and Economics from the Economic Sciences school at Pontífica Universidade Católica from Minas Gerais. He has served in companies such as Usiminas and Magnesita. Currently, he is a partner at AudService Auditores Associados S.C.
Marco Billi, has a Bachelor’s Degree in International Relations and Economcis from Faculdade de Campinas – FACAMP, Analyst at Saint Paul Advisors & Saint Paul Capital Partners, member of the Board of Directors at Eurofarma Laborartórios S.A and Instituto Eurofarma.